Traditional financial institutions and fintech companies continue to debate the future of financial services and the role such innovations as blockchain and cryptocurrency will play in that future. 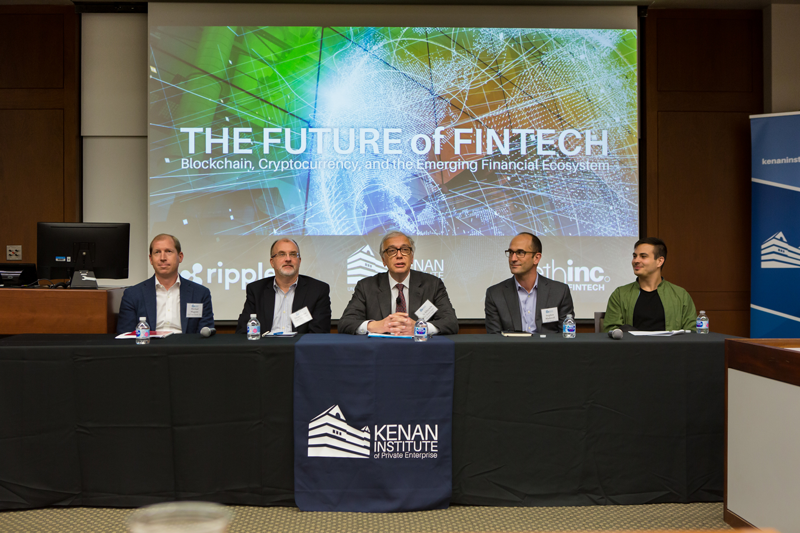 These and other topics were the focus of The Future of Fintech: Blockchain, Cryptocurrency and the Emerging Financial Ecosystem, a symposium hosted by the Frank Hawkins Kenan Institute of Private Enterprise on Jan. 24 at the Kenan Center in Chapel Hill. 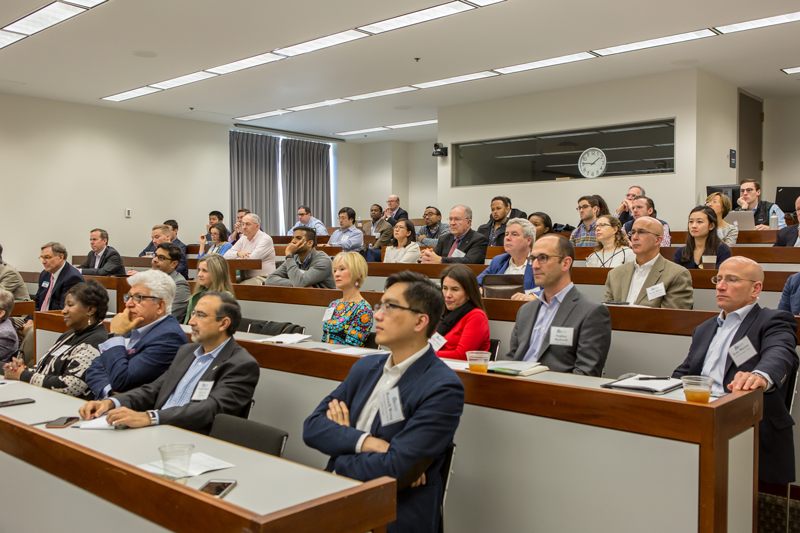 The event brought together nearly 140 business leaders, academic researchers and financial regulators, as well as business students interested in fintech. 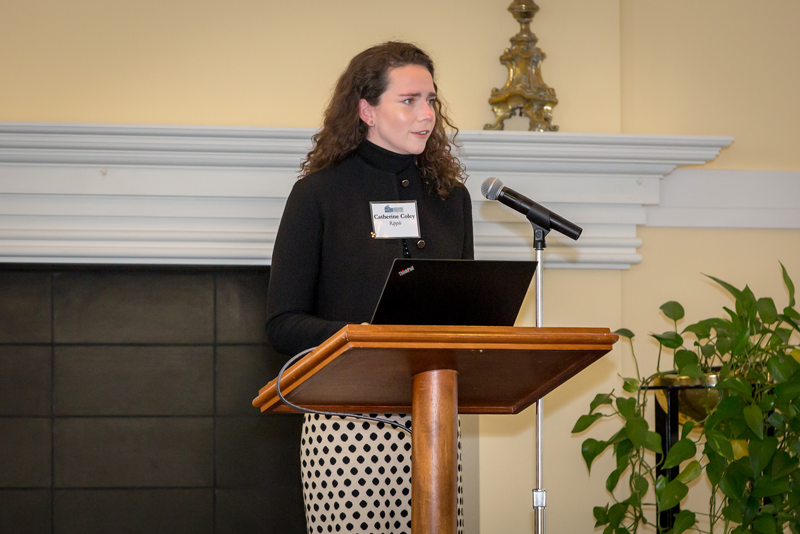 Catherine Coley, Ripple’s head of XRP institutional liquidity, welcomed attendees to the Future of Fintech symposium and shared details on Ripple’s University Blockchain Research Initiative. The symposium featured academic researchers, business leaders and public sector financial regulators. SunTrust Bank Enterprise Partnerships and Investments Executive Mike Maguire, Fifth Third Bank Product Executive Dean Nolan, Kenan Institute of Private Enterprise Senior Faculty Fellow Eric Ghysels, JPMorgan Chase Product Executive Stephen Markwell and Lolli CEO and Co-founder Alex Adelman participate in the “Future of Fintech” panel. David Yermack, New York University Stern School of Business professor of finance and business transformation, shares his insights on if ICOs are here to stay. 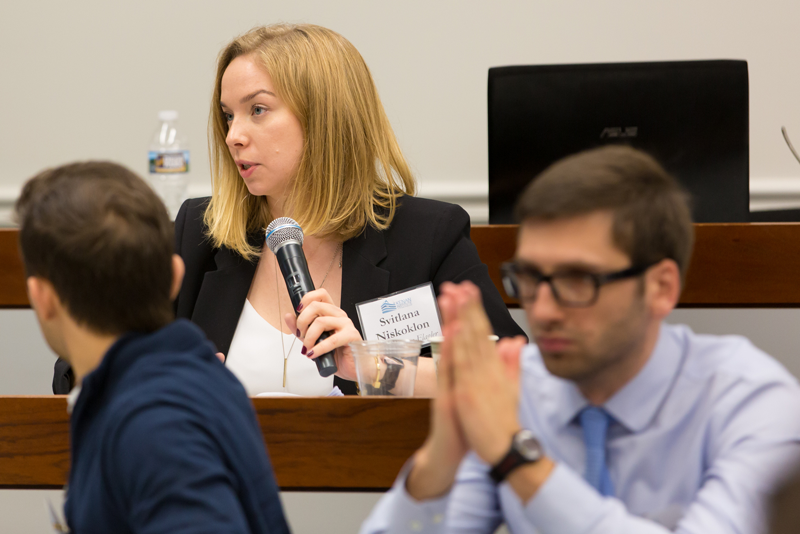 Svitlana Niskoklon, president of the UNC Kenan-Flagler Blockchain Club and MBA candidate, asks a question of presenters. Womble Bond Dickinson Partner Anna Mills participates in the “Fintech Regulatory Environment” panel. 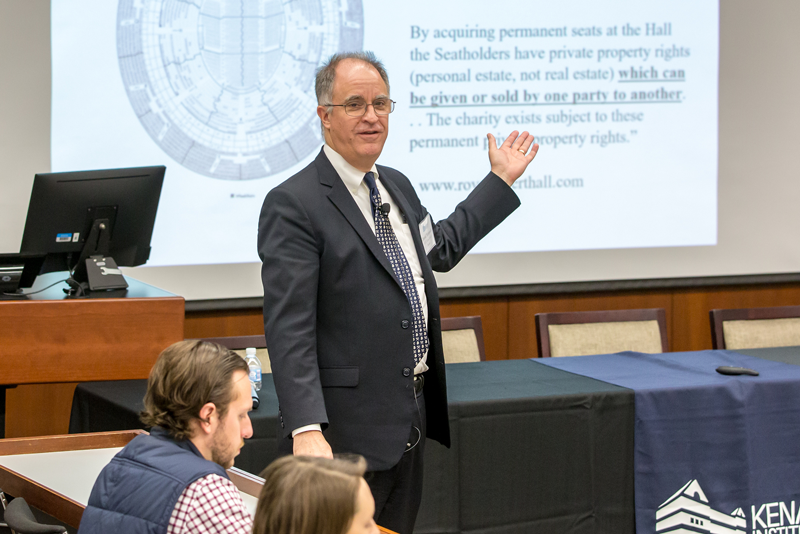 Kenan Institute Executive Director Greg Brown and Catherine Coley, head of XRP institutional liquidity at Ripple, opened the symposium by outlining Ripple’s University Blockchain Research Initiative (UBRI), which UNC Kenan-Flagler Business School and the Kenan Institute are part of, and by announcing the formation of Rethinc. Labs, an institute program to bring together academic, industry and government researchers to investigate how organizations use technology and data to achieve strategic objectives. The topic of research-based crypto conversations was a recurring one. 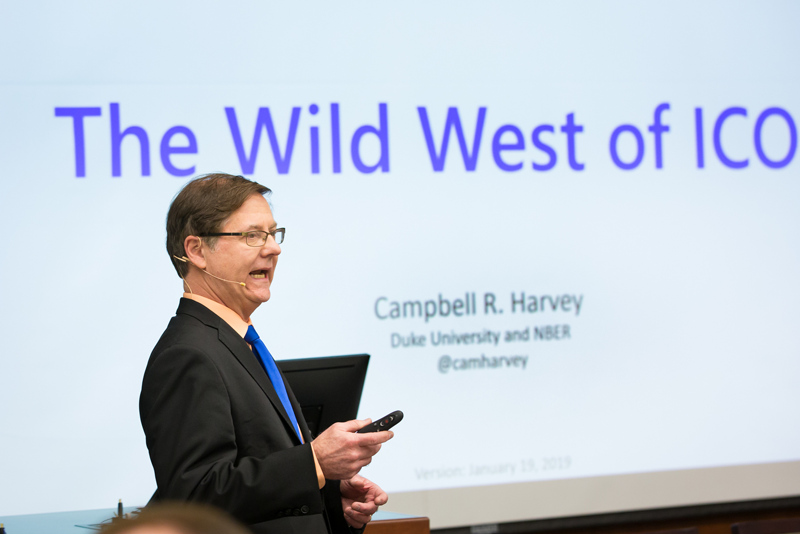 Cam Harvey, J. Paul Sticht Professor of International Business at Duke University’s Fuqua School of Business, presented on the “wild west” of initial coin offerings (ICOs). Harvey discussed his classification of coins and tokens, and the framework for assessing ICOs that he developed based on his extensive experience working with blockchain startups. Harvey predicted that ICOs are here to stay; however, greater regulatory oversight is needed. David Yermack, Albert Fingerhut Professor of Finance and Business Transformation at New York University’s Stern School of Business, emphasized that fundraising through an ICO is not as new as we might think. He compared ICOs with a fundraising campaign in the 1870s for London’s Royal Albert Hall in which people could buy and resell seats even before the building was built. Yermak also debunked the commonly held notion that 80 percent of ICOs are scams. He said that the high failure rate of ICOs is due to the high level of risk inherent in any entrepreneurship venture. The difficulty of comparing failure rates of ICOs with those of other types of initial offerings is that angel and venture capital investors and crowdfunding platforms all fail to disclose the failure rates of their customers. Another panel, moderated by Eric Ghysels, Edward Bernstein Distinguished Professor of Economics and adjunct professor of finance at UNC Kenan-Flagler Business School, opened up a debate about whether banks would be replaced by technology. Alex Adelman, CEO and co-founder Lolli, said that millennials and Gen-Z customers have low loyalty to brands and are searching for benefits that banks cannot provide. On the other hand, said Stephen Markwell, head of product investment strategy and fintech for the commercial bank, JPMorgan Chase, currently 75 percent of fintech startups see themselves continuing to collaborate with banks now and in the future. Mike Maguire, executive vice president for enterprise partnerships and investments for SunTrust Bank, and Dean Nolan, vice president/director of commerce solutions for Fifth Third Bank, added that brick-and-mortar banks have a scale of distribution, processing infrastructure and regulatory expertise that fintech startups lack. During a panel discussion on the fintech regulatory environment, presenters explored the complexity of regulation for ICOs, peer-to-peer (P2P) lending, new forms of payments and robo-advising. Anna Mills, a partner with Womble Bond Dickinson, clarified how to apply the Howey Test to crypto tokens and coins to determine whether these transactions qualify as investment contracts. 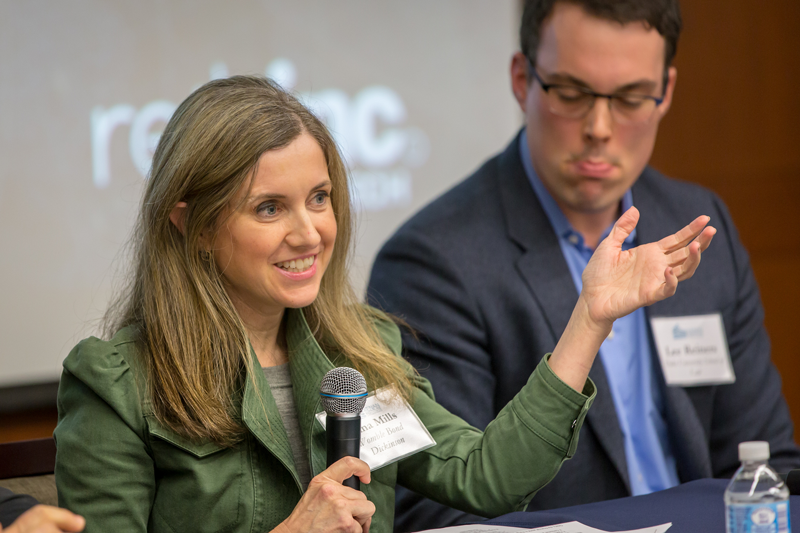 Lee Reiners, a lecturing fellow at Duke University School of Law, highlighted that fintech P2P lending companies primarily partner with banks to navigate the regulatory landscape. Reiners and Economist Russell Wong from the Federal Reserve Bank of Richmond described the limitations and weaknesses of the U.S. payment system, pointing out that the higher prices of financial services are negatively affecting smaller banks and low-income customers. Mills questioned whether robo-advisors would be able to meet the federal fiduciary standard. From the discussions at the symposium, it’s apparent that there is still much research to be done with respect to fintech, and that blockchain, cryptocurrency and other innovations will continue to provide much material for analysis and debate.